Pyrexia (fever) refers to a raised body temperature, typically greater than 37.5c. It is common in surgical patients, either due to the underlying disease process or as a post-operative complication. Whilst infection is regularly the suspected cause, other conditions must be considered when approaching the surgical patient with pyrexia (Fig. 1). In this article, we shall look at the aetiology, investigations and management of pyrexia in the post-operative surgical patient. The investigation of the infection source should also be tailored to the patient. For example, in a patient who has undergone a bowel resection, post-anastomotic leak is an important differential to be considered and should be investigated as a matter of urgency. Iatrogenic – which may include a drug-induced reaction (e.g. antibiotics or anaesthetic agents) or from a transfusion reaction. Figure 1 – The 5 Ws of post-operative pyrexia. Infectious sources in the post-operative period predominately originate from the lung (“wind”, days 1-2), urinary tract (“water”, days 3-5) and surgical site infections or abscess formation (“wound”, days 5-7). Pyrexia of Unknown Origin (PUO) is defined as a recurrent fever (>38oc) persisting for >3wks without an obvious cause, despite >1wk of inpatient investigation. Causes of PUO include infection of unknown source (30%), malignancy (classically B-symptoms from lymphoma, 30%), connective tissue diseases or vasculitis (30%) and drug reactions. The underlying source of the pyrexia will largely determine the clinical presentation of the patient. Importantly, if the patient appears unwell and needs urgent resuscitation and management, start an A to E approach as necessary and only attempt to identify the source of infection once the patient is stable. If no obvious source is apparent, enquire about specific systems symptoms, such as urinary frequency, urgency, or dysuria, productive cough or dyspnoea, haemoptysis, chest or calf pain, or wound or IV line tenderness or discharge. On initial examination, examine for signs of pulmonary infection, IV line infections, wound infections, and calf tenderness. If post-operative, also examine for specific complications from the operation (e.g. signs of peritonism in anastomotic leak). Blood tests– FBC, CRP, U&Es. If the source cannot be identified through the septic screen, more detailed investigations may be required, such as a CT scan for any suspected anastomotic leak or Doppler US for suspected DVT. 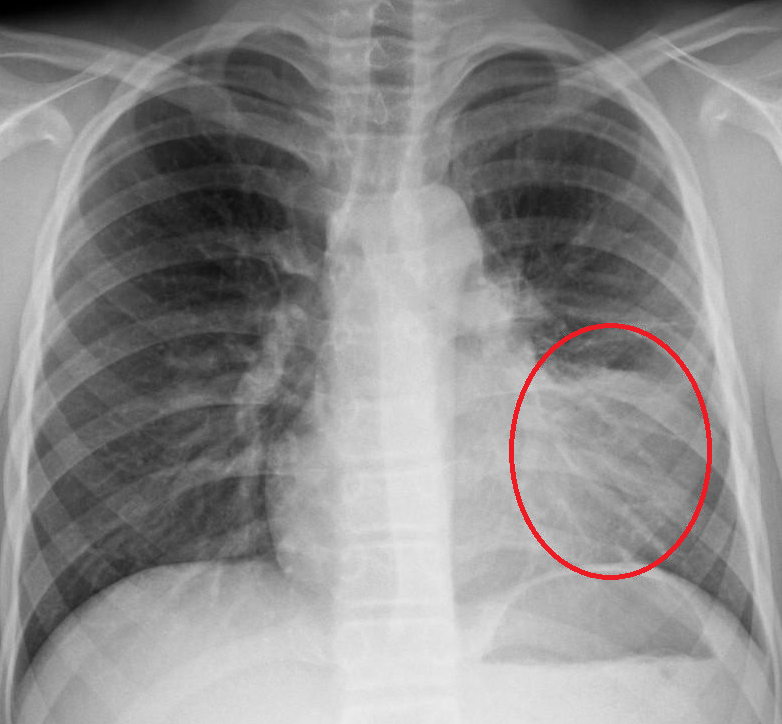 Figure 2 – A chest x-ray showing left lower zone consolidation. Any identified infection should be treated empirically with antibiotics, pending sensitivity results. Empirical antibiotic regimes will vary depending on local sensitivities – therefore follow your local hospital guidance. Example empirical treatments are given in Table 1. If the patient is septic, start immediate management for sepsis. If no infectious cause can be identified, do not start empirical antibiotics. First look for non-infectious causes and consult a senior colleague and a microbiologist for further advice. A low threshold of suspicion should be present for suspected sepsis. Any new rise in temperature whilst on antibiotics should prompt repeating the septic screen (and investigating other potential causes than infection). Any concerns should warrant an early senior review. Table 1 – Example empirical regimens per infection source. If pyrexia develops on day 4 post-surgery, what infections should be considered? What is pyrexia of unknown origin? What is the most relevent investigation for a patient with fever and calf pain post-surgery? What is the antibiotic of choice used to treat an uncomplicated UTI post-operatively?